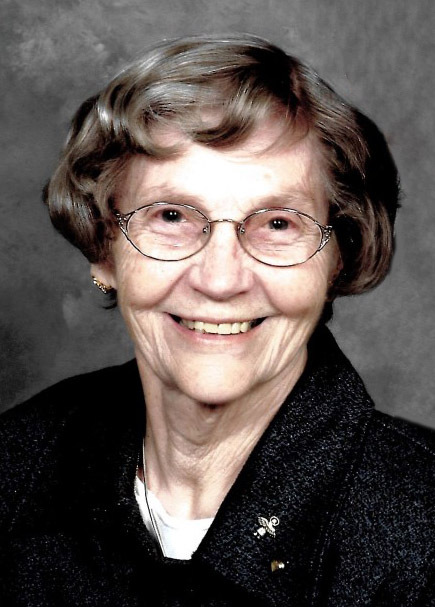 Agnes Marie Schortgen, 91, of Columbia City, passed away on February 10, 2019, in Fort Wayne. Born in Mt. Summit, on June 5, 1927, to the late Oliver and Anna (Barth) Rifner. She spent her formative years in New Castle, graduating from Chrysler High School. She was the drop-kick kicker for the football team. After high school, she graduated from Indiana University. Before she was married to Bob, she taught two years at Montpelier High School and Lakeville High School. She spent the rest of her life lovingly raising her family. Surviving include her children, Joan (Randy) Brown, Nick (Cheryl) Schortgen, Mary (John) Nicholson, Anthony "Tone" (Janeen) Schortgen, Charles (Lee Ann) Schortgen, Christopher (Theresa) Schortgen, Lucy (Steve) Papaik, Clara (Randy) Meyer, Amy (Paul) Rohyans and Rose (James) Fritzinger; her sisters, Sr. Martha Ann (Mary) Rifner, SP and Sr. John Mary (Cecelia) Rifner, SP; 35 grandchildren and 68+ great-grandchildren. In addition to her parents and husband, she is preceded by a brother, John Henry Rifner; a grandson, David Nicholson. Mass of Christian Burial will take place at St. Patrick's Catholic Church, Arcola on Friday, February 15, 2019, at 10:00 AM, with calling one hour prior to the service. Family will receive friends on Thursday, February 14, 2019, in the Parish Hall at St. Patrick's Catholic Church, Arcola from 2 PM, until 7 PM, with the Holy Rosary recited at 7 PM. Burial taking place at St. John's Cemetery, Montpelier, Indiana, following the funeral at 2:30 PM.